R/V Falkor has numerous closed circuit television (CCTV) cameras around the vessel to monitor over-the-side operations as well as vessel security. For example, the aft deck cameras are primarily used to monitor science operations, as most deployments occur on the aft deck. 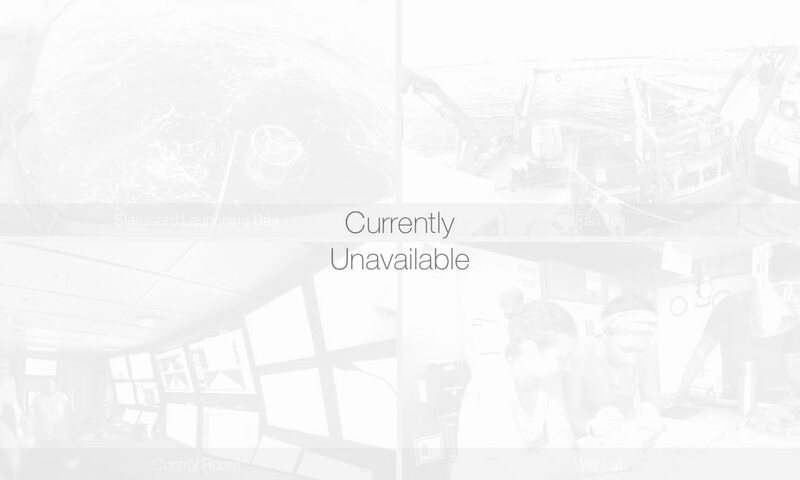 This page displays some of the cameras onboard Falkor so that the users can also see what is going on at any given moment. These cameras do not stream live video, but provide a frame grab, which is updated every few minutes. The cameras are located on the main mast (so you can see where the ship is traveling), starboard launching bay (sometimes science gear is deployed here), mid ship on the aft deck (to see the bulk of the scientific deployments), and A-frame (to see some deployments from a different angle). On board, all of these cameras are streamed live and can be viewed from any television monitor around the vessel.